This summer, watchdog groups asked both campaigns to share more information about its small donors. The McCain campaign agreed; the Obama campaign did not. "They could've done themselves a service" by heeding the suggestions, said Massie Ritsch of the Center for Responsive Politics. 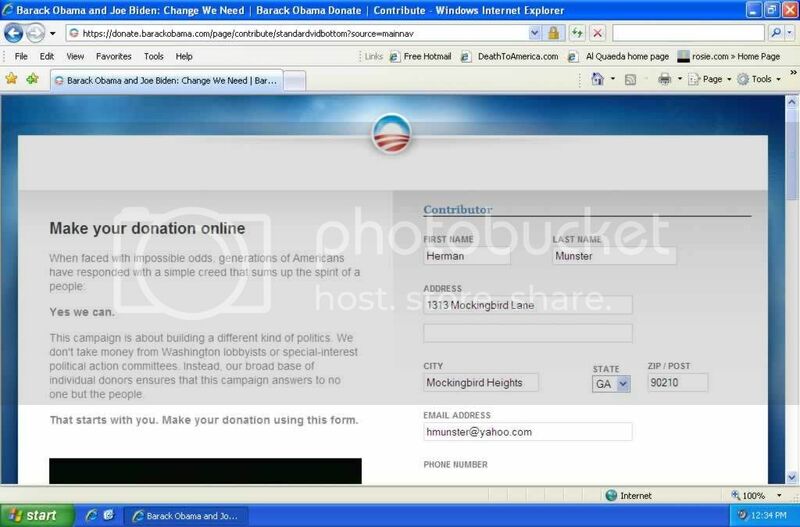 So, who's shocked that the Obama campaign didn't want to share information about all those donors? Who knows what all someone will find if they dig enough?